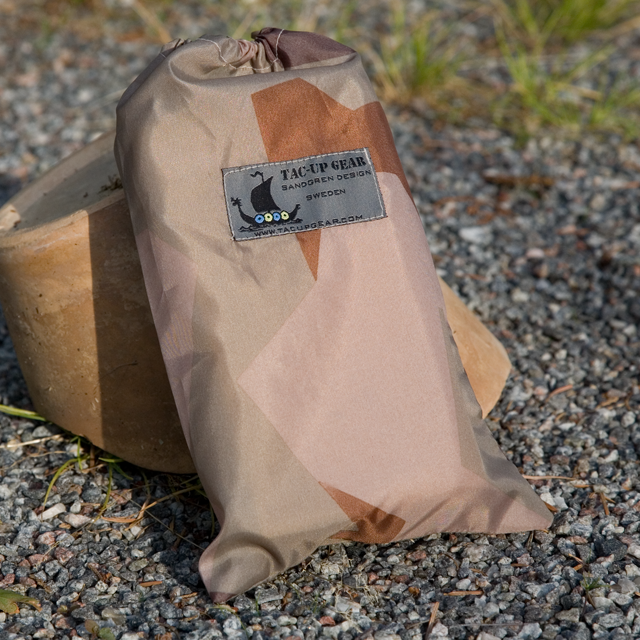 We have developed the Mini bag in Water Resistant (WR) rip stop fabric in excellent anti IR M90 Camouflage. The mini bag is easily and smoothly closed with drawstring and cordlock. Many have discovered the advantage with having a mini bag in a larger holdall, rucksack or pocket to hold the smaller important items for easy finding and access. When washing your bag, please carefully read the care and washing label. Fabric: 100% Nylon ripstop with anti IR printed m90 camouflage with inside PU coating.